Motor yacht OUTSIDE EDGE IV is a 22.23 Meters (72.9 Feet) charter yacht built by Mangusta (Overmarine) in 2004. 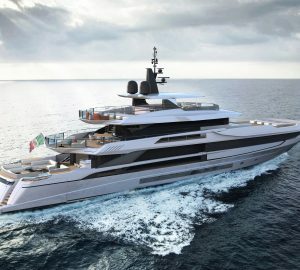 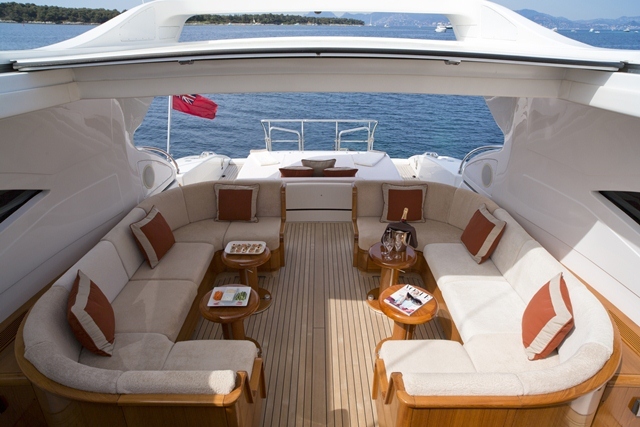 The fantastic Mangusta 72 OUTSIDE EDGE IV offers terrific interior and exterior spaces to relax while on charter including a deck salon with a retractable roof, a large aft deck and another salon on the lower deck. The OUTSIDE EDGE IV motor yacht features neutral interiors with accents of colour providing a relaxing and traditional style. 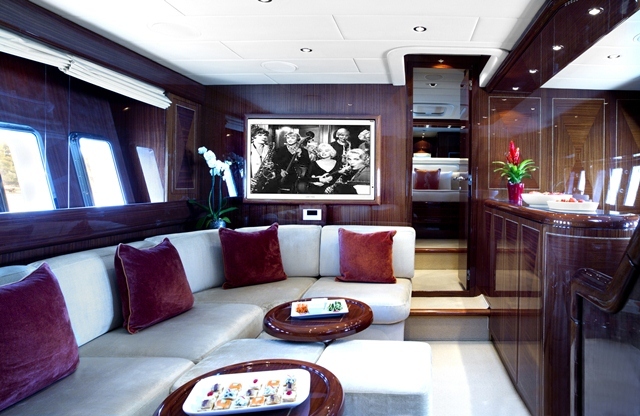 The main salon offers a relaxed area fully air-conditioned with large plasma TV and SKY. 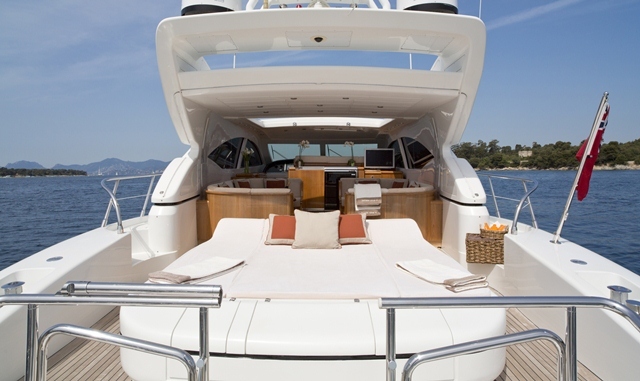 An exciting feature of M/Y OUTSIDE EDGE IV is her large deck saloon with retractable sun roof which creates an ideal space for informal al fresco dining, sunbathing and relaxing. 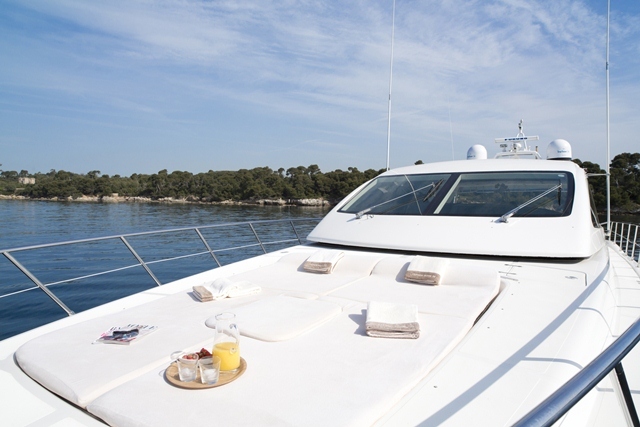 There are additional sun pads on the foredeck which is the perfect spot for soaking up the sun while enjoying the beautiful scenery - an option of a bimini cover offers a more private lounging area. 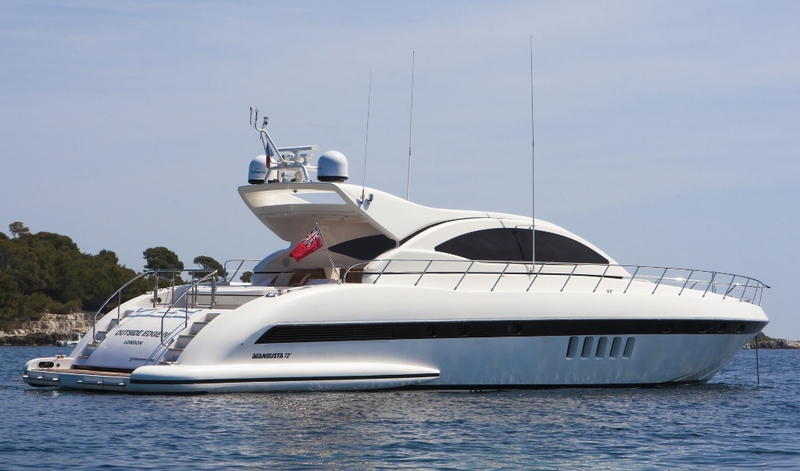 The Mangusta 72 OUTSIDE EDGE IV is able to accommodate up to 6 charter guests in 3 well-appointed cabins all offering ensuite facilities. 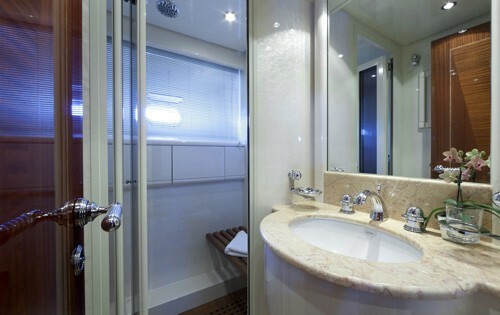 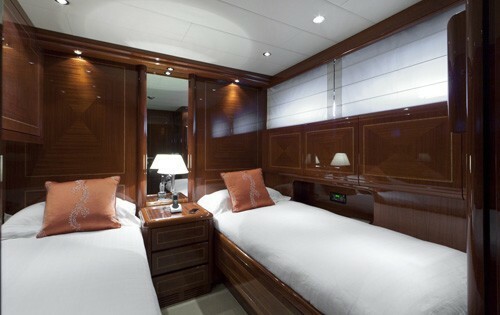 The Master cabin is located forward and is bright and sunny with a split ensuite with a separate toilet and shower room. 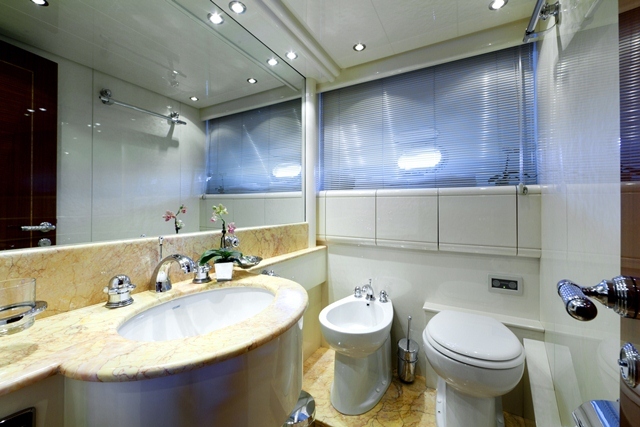 The VIP Cabin and the twin cabin with Pullman berth are both well-appointed and comfortable, both with ensuite shower rooms. 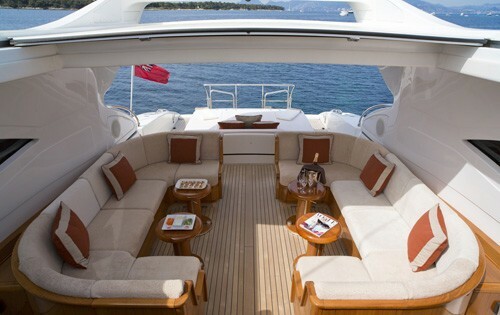 Charter yacht OUTSIDE EDGE IV can easily cruise at 27 knots thanks to her twin M.A.N. 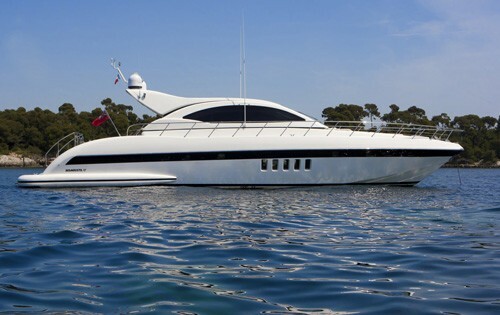 1550 Common Rail engines making her the ideal charter yacht to zip along the Cote d’Azur, reaching her next destination with ease. 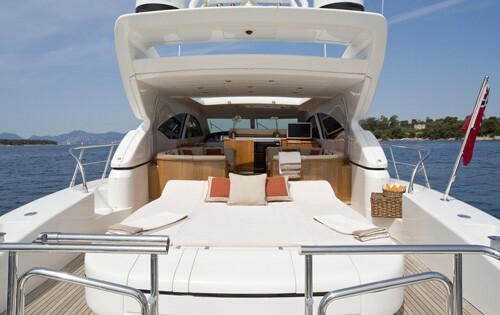 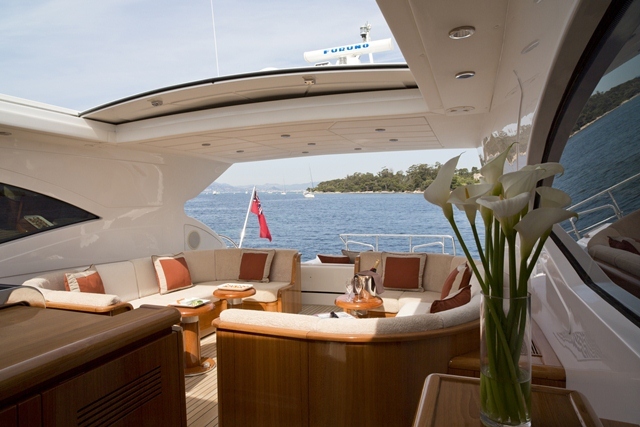 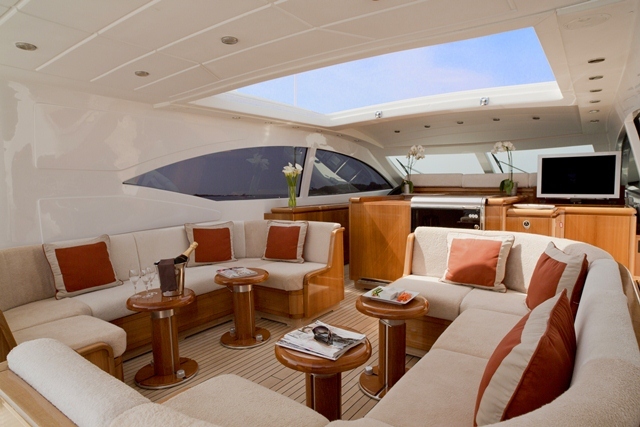 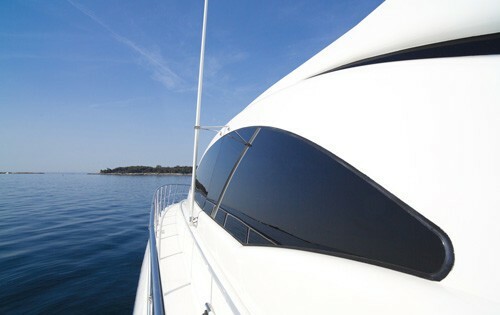 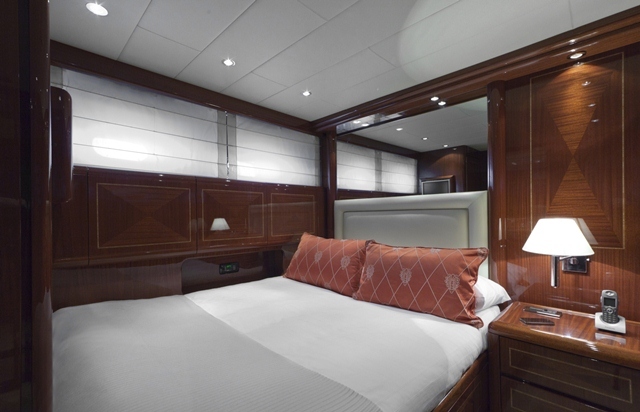 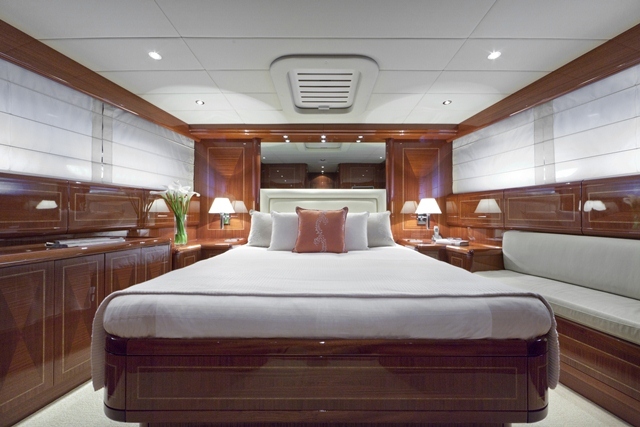 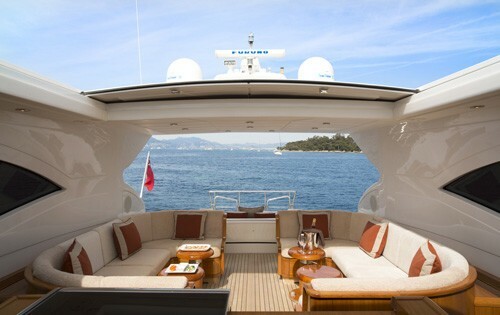 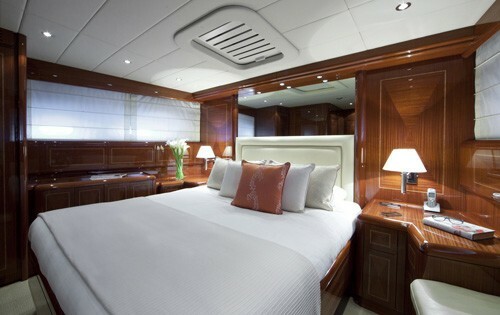 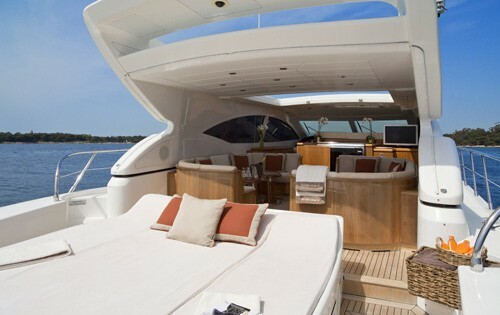 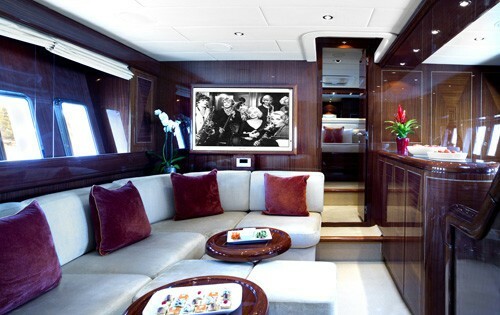 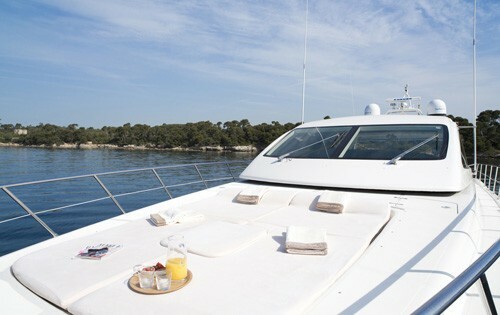 The OUTSIDE EDGE IV yacht is able to accommodate up to 6 charter guests in 3 well-appointed cabins. 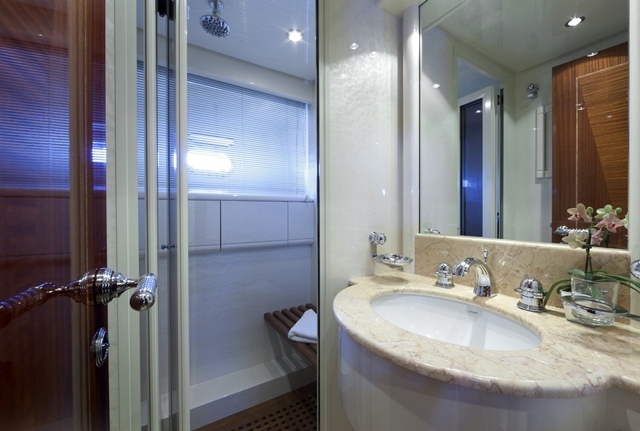 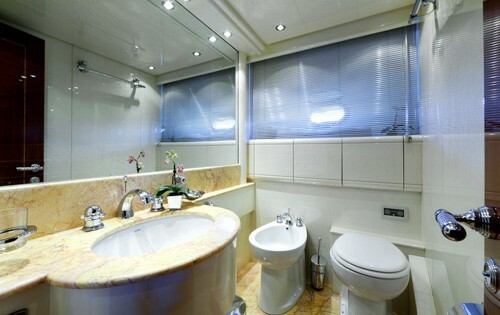 The Master cabin is located forward and is bright and sunny with a split ensuite with a separate toilet and shower room. 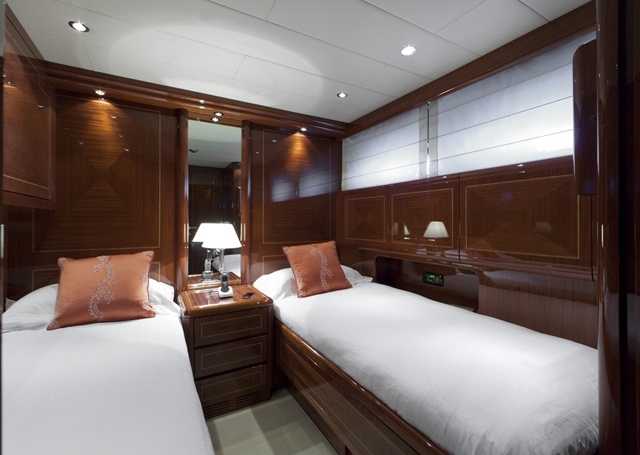 The VIP Cabin and the twin cabin with Pullman berth are both well-appointed and comfortable, both with ensuite shower rooms.